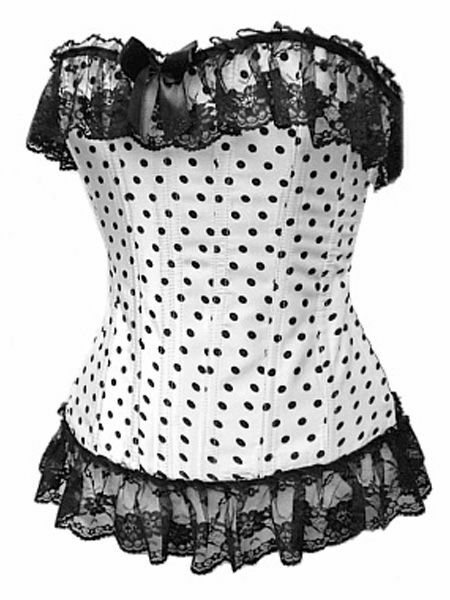 A very pretty white satin corset with black polka dots with 13 acrylic bones throughout. The corset has a two-position hook and eye closure at the side and the back has adjustable ribbon and eyelet lacing. The upper and lower edges of the corset are trimmed with gathered black lace.